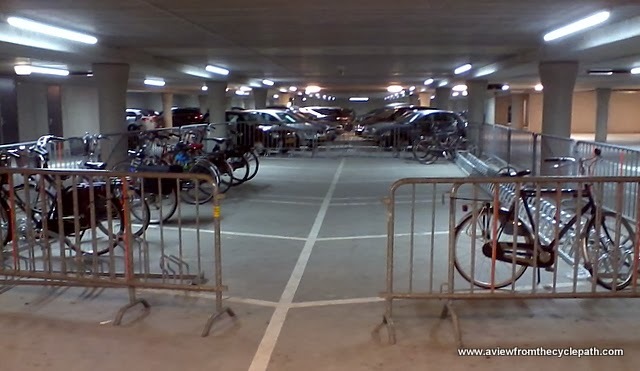 What do you get for Christmas for the Dutch cyclist who already has "everything" ? How about a cycle-path for singing on ? It's a stunt by the Fietsersbond, the Dutch cycling union. 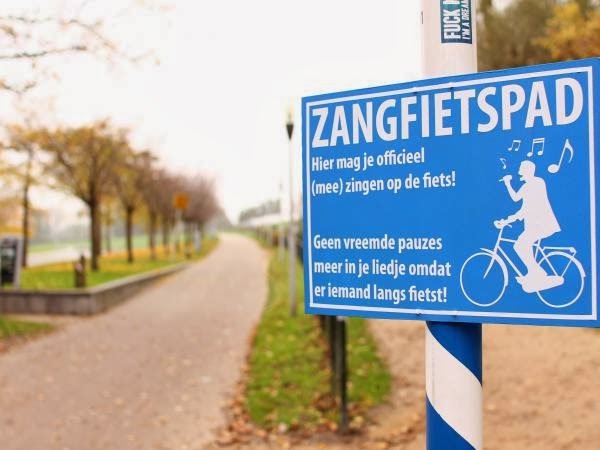 It's not (yet) official policy that cycle paths are designed for singing. 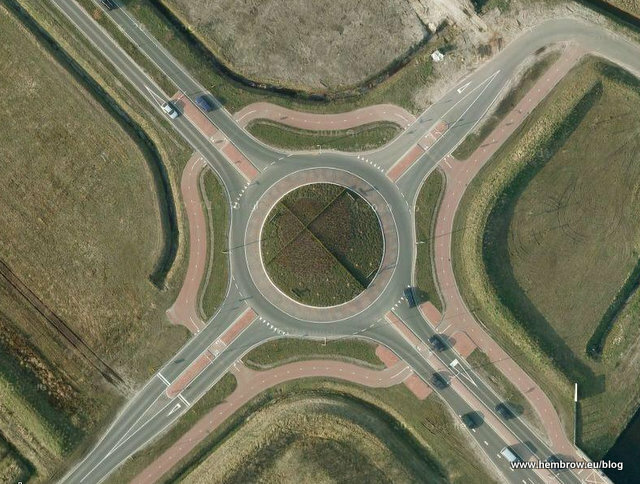 But it's also a sign of what cycling is in the Netherlands. Apart from those places where things have gone wrong, cycling is joyful here, just as it should be everywhere else. Joyful cycling is something worth working towards in time for next Christmas. Aim high. For everyone to feel like singing when they cycle you need a very high degree of subjective safety. Remember who we're doing this for, and don't take too long about it. Our friend Mike Rubbo came to stay with us in March. It was -10 C here but people were still cycling much as they always do. We had had a chance to get used to the weather, of course, so I thought Mike did well to survive outdoors at all, having come here from the Australian summer. The above is the first of the films that Mike has finished about cycling in this area. 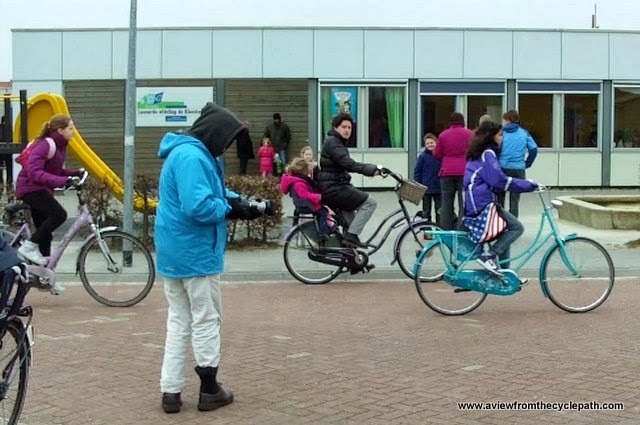 This film was shot around the bike shop and cycle parking at the largest railway station in Groningen, with particular emphasis on one of the shop's customers, a lady who uses her electric bike to get around in and around the city and who had an amusing story to tell. 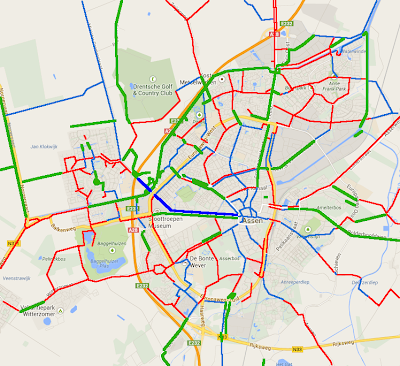 Bikes are everyday transport in this country for the whole population, whatever the weather. A few days ago I asked how much Britain had progressed in the last six years. Now I'm looking further back in history. In the 1950s and 1960s the Rank Organisation made in the UK made a fascinating series of films called "Look at Life". These films documented many aspects of British society fifty year ago. Youtube user dokkertrigger has made many of these films available. I've chosen three of the films because of their relevance to planning and cycling. You occasionally see bikes, but note how the narrator never mentions cycling in these videos (nor others I've watched). 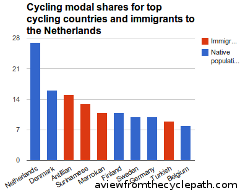 Bicycles simply were not taken into account by 1950s and 1960s traffic planners, not in the UK and often not in the Netherlands either. Not that delays are already thought to cost £500 million pounds per year. 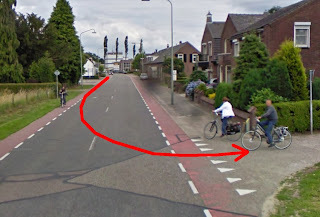 A considerable part of this could be saved if people could safely cycle. Cycling is not a cost to the economy, it's repeatedly been shown to be a benefit to the economy. It's interesting to note that while this road is still a dead end, the road markings have been changed to those of a busy through road. By-passing this village was not really enough on its own. 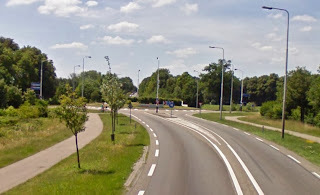 No provision was made for people to travel by means other than motor vehicles or walking and local people are concerned about how future plans to expand the nearby A14 (motorway in all but name) will affect commuters who drive to Cambridge. It would be interesting to know whether many children cycle to school within Stilton. I would guess not as despite having a bypass this looks not much different from any other British town and children here won't have the same easy experience as Dutch children. Similarly, I'd be interested to know whether many secondary school children cycle to nearby Peterborough for their studies. There are secondary schools within 10 km, well within normal cycling distance for Dutch school children, but cycling there would require riding on shared use paths with no separation from cars travelling at 100 km/h and negotiating large road junctions. These videos often mention that the UK is behind other countries in Europe in building a road network, and they talk about avoiding mistakes made in other countries due to starting later. 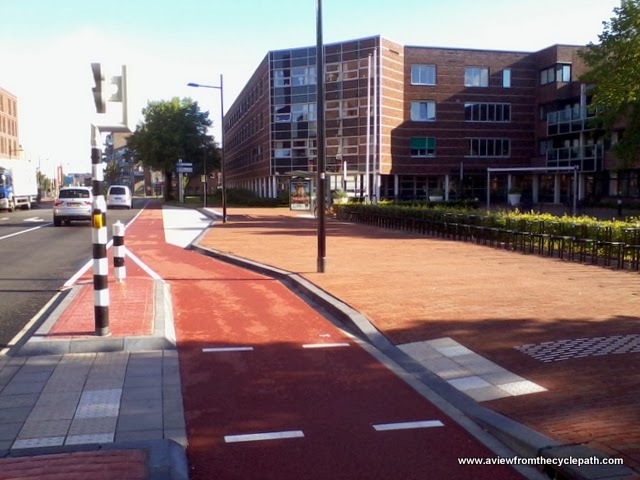 The UK could do the same with cycling, copying only the best examples. However, there's something else that I find interesting. All western countries went through a similar spree of road building after the second world war. All saw the same 1950s ideas as the future, copying what was seen as a "modern" American example. Most countries stopped right there and policies have continued as if the car oriented 1960s never ended. The Netherlands started off by doing the same things. 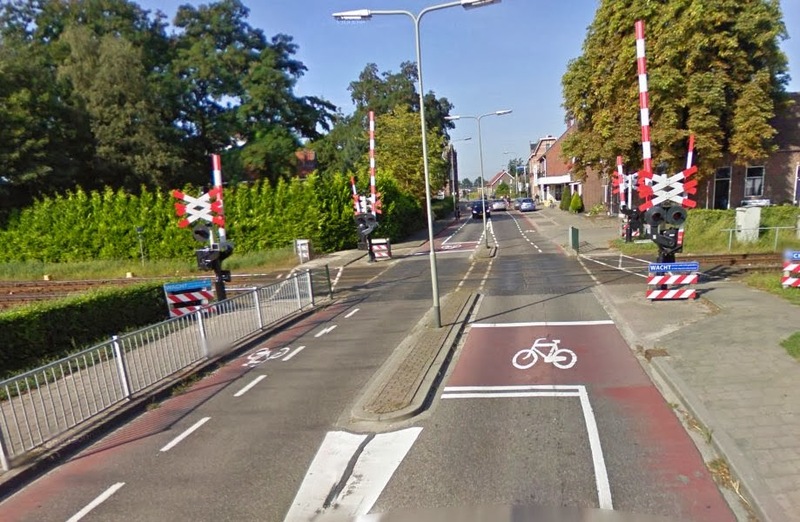 This country followed the same policies as other countries, prioritizing cars above all else. This resulted in scenes like those on the photo to the right all across the Netherlands. 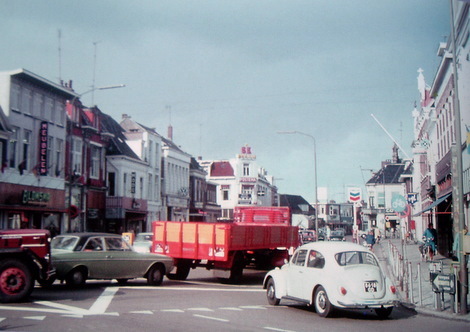 Streets were dominated by cars just as was the case in the UK at the same date. city. 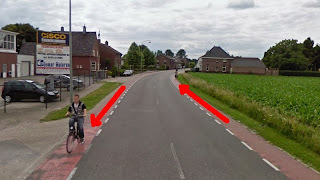 See how this street works now. 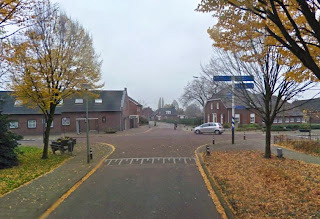 In the 1970s, Dutch policy changed, resulting in what was once the busiest street in Assen now appearing to have been designed to look much less like a through route even than the bypassed centre of Stilton. 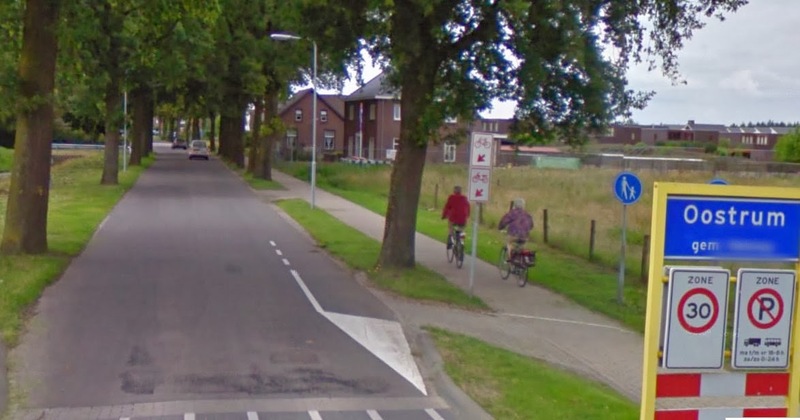 From the 1970s onwards, people walking and cycling became important in the Netherlands. 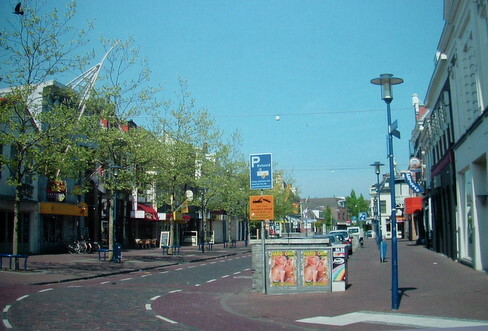 Streets which were transformed in the 1960s were transformed a second time. It is this second transformation which other countries are still waiting for. Just as the UK looked to Europe to see how it could transform itself efficiently into a motoring oriented country, so the country could now look to the Netherlands to find out how to make this second transformation. The narrator in the first video notes that "London won't be rebuilt in a day". Actually, remarkably little progress has been made in 50 years. Exactly the same problems remain. If planners and politicians remain stuck in the 1950s mode of providing for motor traffic above all else then progress will remain stunted. Now go and listen to one of the most lovely songs ever written about building roads and the struggles of working people in general.